Something about fall, and the back to school sales makes me want to get a new pair of sneakers. Though my school days are long gone, I get tempted every decade or so by one of my school time favorites. 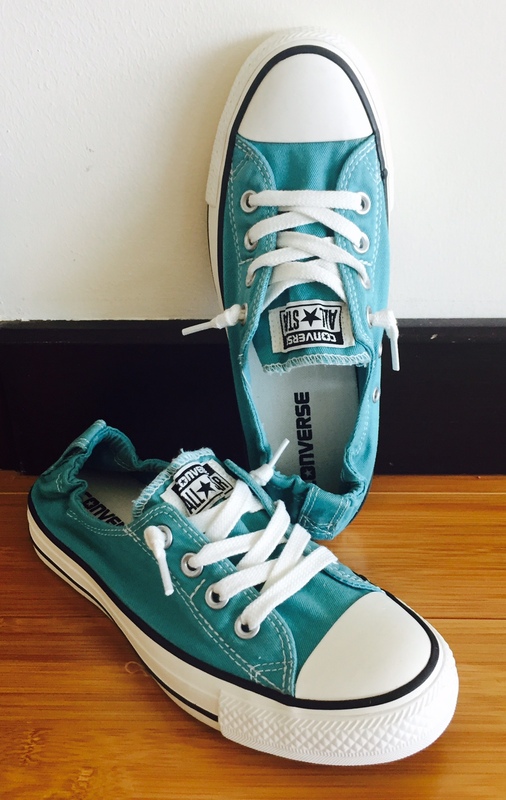 These Converse Chuck Taylor Shoreline kicks were on sale, and since I already have a pair of neutral tan ones, I got them in turquoise. They have enough of a pop of color to seem interesting, but pleasantly go with most of my outfits and pair well with jeans. And who doesn't like a bright clean pair of shoes at the start of a new school year?